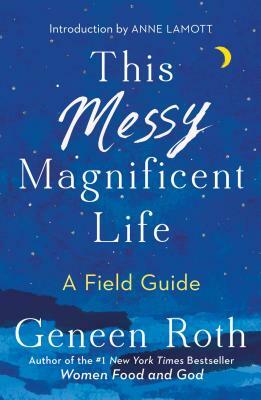 This Messy Magnificent Life: A Field Guide (Hardcover) | Copperfield’s Books Inc. When her struggle with food ended—and didn’t change anything except the size of her thighs—she kept trying to fix other broken parts of herself with therapy, intensive meditation retreats, and rigorous spiritual practices. Yet it was only when Geneen stopped trying to change or fix herself—that she was at last able to feel at home in her mind, body, and life. Now, she shares the wisdom of giving up what Geneen calls "the Me Project," and finding the freedom, peace and power that await us just beyond it. "Geneen Roth's early work pulled my sister out of the abyss of eating disorders. My gratitude and admiration for Geneen has deepened still with her newest book. In This Messy Magnificent Life, we experience her signature divine wisdom and hilarious humanity—but Geneen also gives us something new and important. Here, Geneen shows us how our individual body and food obsessions are directly linked to our collective oppression as women—and how getting free from our personal prisons is crucial to seeking liberation at every level. This is a beautiful, funny, deeply relevant book -- a vital work for this moment."